This tutorial explains how to develop admin module magento. Here I am showing how to create a basic admin module in magento. 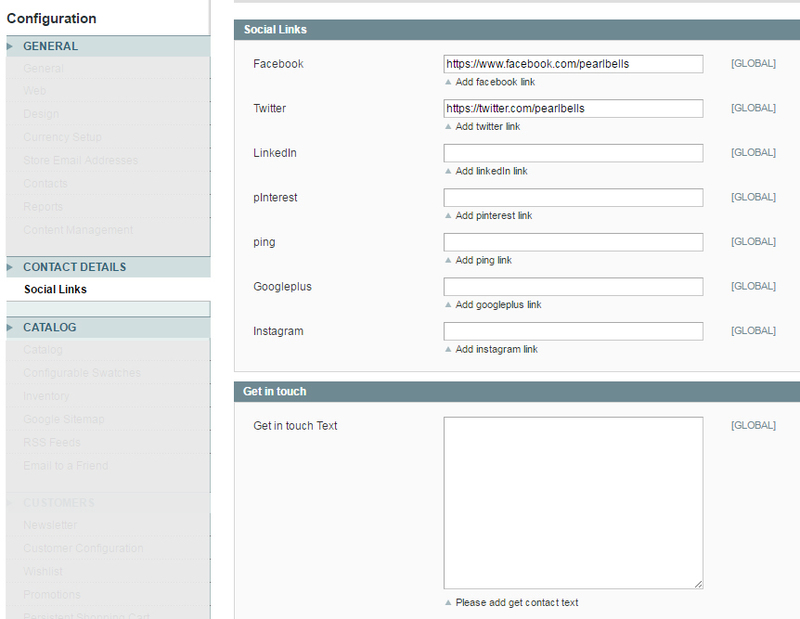 The module allow the user to add their social media links in the magento admin area.It also create a textarea for adding the contact information. Instead of adding static block for displaying the social media links this module automatically display social links as block. This section it creates the admin area for controlling the module.In the admin area this module add a tab in the magento admin under system->configuration as shown below.The custom text fields allow to enter the additional information and social media links. The following files are required to create this module. 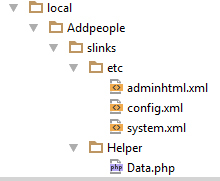 For enabling the module create file etc\modules\Addpeople_slinks.xml and enter the following code. This section decides who can access the module. In this example the admin permissions are set to all which means all logged in users can access the module. 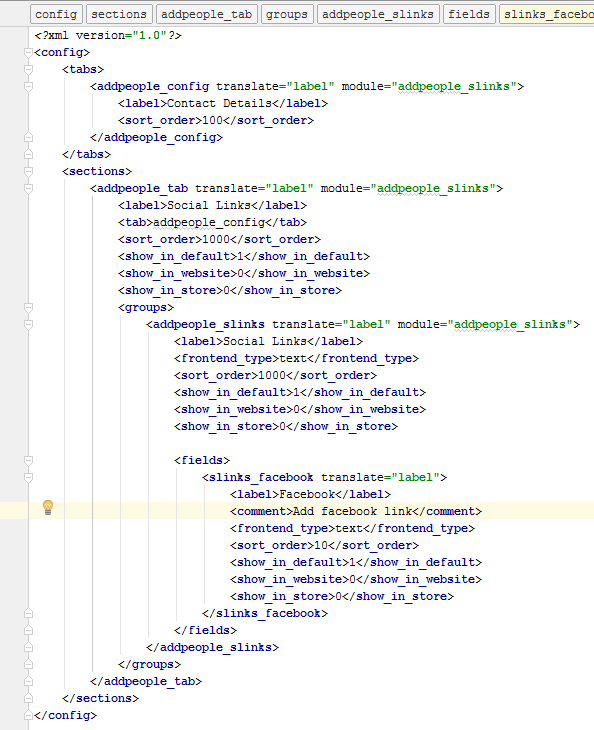 The magento module development custom fields are declared in the system.xml file. The following code adds the contact details tab in the System->Configuration section magento admin area.Inside the tab I have added the custom fields for enter the social media links as show below. Please click here to get the full code. The second part explains how to display the social icons in the frontend. © 2019 Tutorials & Extensions.